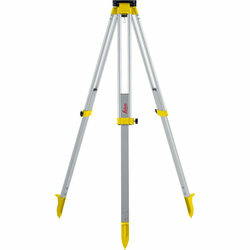 The Leica GST103 is medium-duty tripod and is fitted with carrying straps and side-clamp screws. This is an ideal tripod recommended for levels, lasers, construction theodolites and targets. This Tripod was formerly known as the Leica CST103. The Leica Rugby 810 is an amazing one button horizontal laser level designed to eliminate user error. Featuring a working range of 800m, unique unbreakable Li-Ion Battery, optional solar panel and in-car charging and IP68 water & dust protection. The Leica Rugby 820 – Manual grading has never been so easy with the new Smart-Targeting & Smart-Lock features. These new functions automatically adjust the grade of the laser to that of the detector allowing for one person grading. Fully IP68 Rated.